Grain: Boldly striped, tight, textured grain in broad strokes of brownish black. 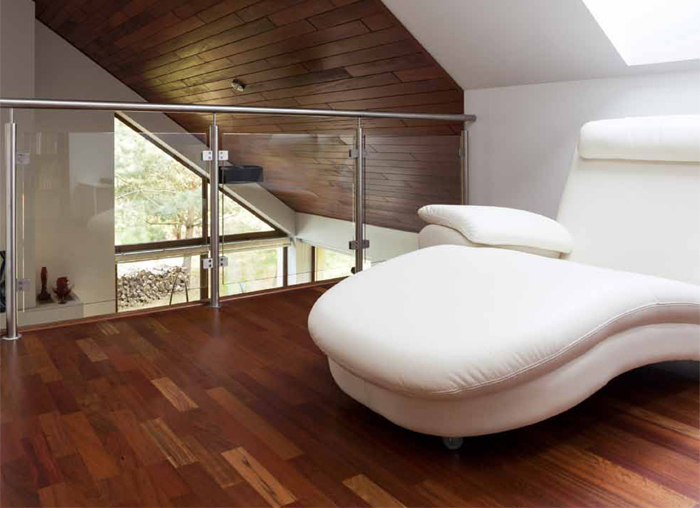 Hardness: 1850 on the Janka hardness scale, making it one of the hardest hardwood ﬂooring types available. Durability: Very hard and dense. Weight: 3.4 lbs per sq.ft. 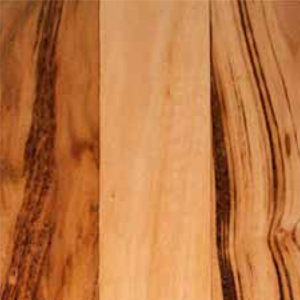 In its natural state, Tigerwood shows very pronounced color variation when exposed to intense light. This ﬂooring will have extensive color variation. It is graded differently than most other species. Average board length is 38”.